Using coded infrared (IR) transmitters mounted on emergency vehicles, the Opticom IR platform communicates securely with the intersection’s traffic controller to request a temporary right of way. 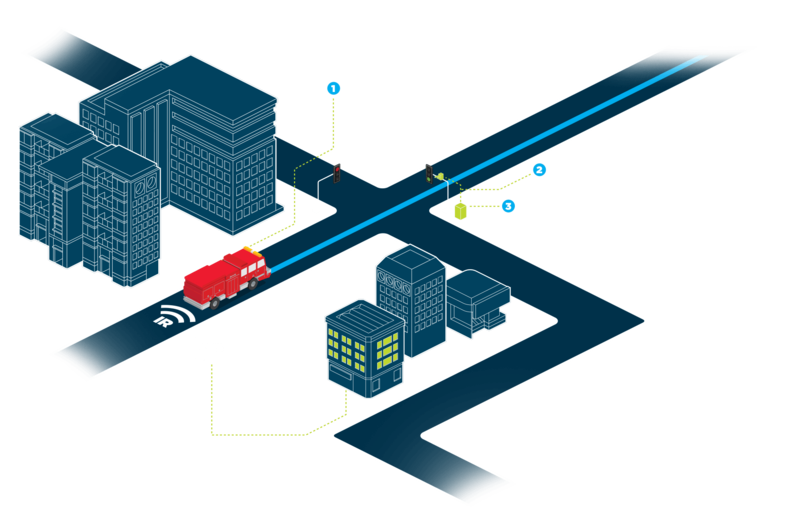 GTT’s legacy IR platform provides line-of-sight Emergency Vehicle Preemption (EVP) in order to decrease response times and improve safety for emergency responders and the community. Built on more than 45 years of Opticom signal priority performance and reliability, the Opticom IR platform is installed in thousands of vehicles and intersections worldwide. The Opticom IR platform brings together a combination of proven hardware, advanced software and comprehensive services to enable faster and safer on-scene arrivals for departments of any size. READY TO MIGRATE FROM IR TO GPS? Proven results from GTT solutions.